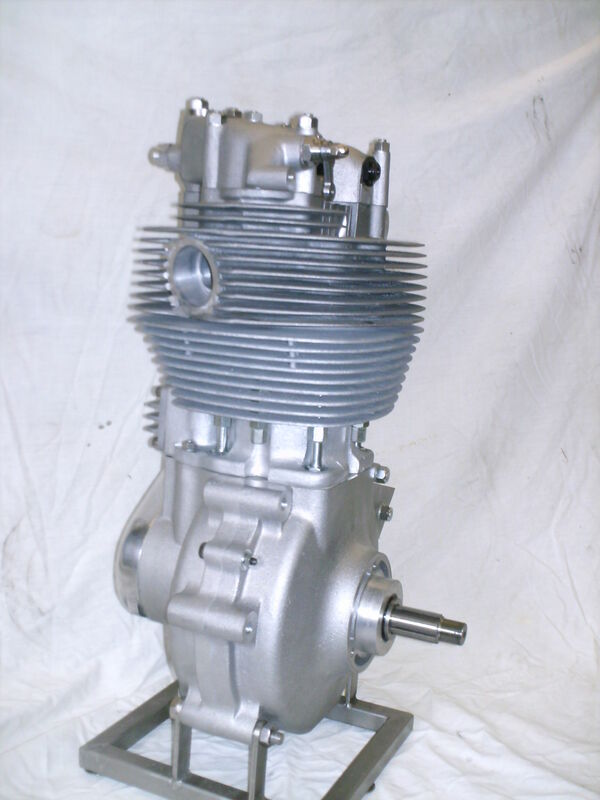 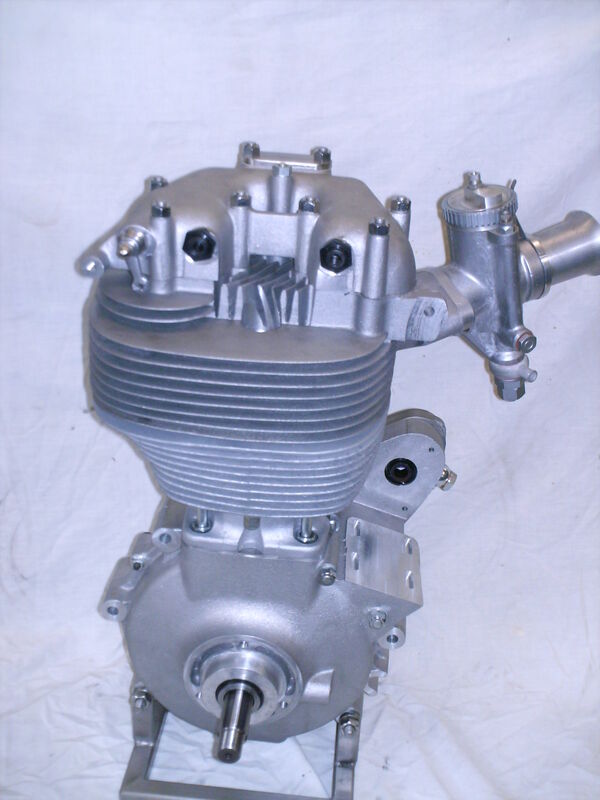 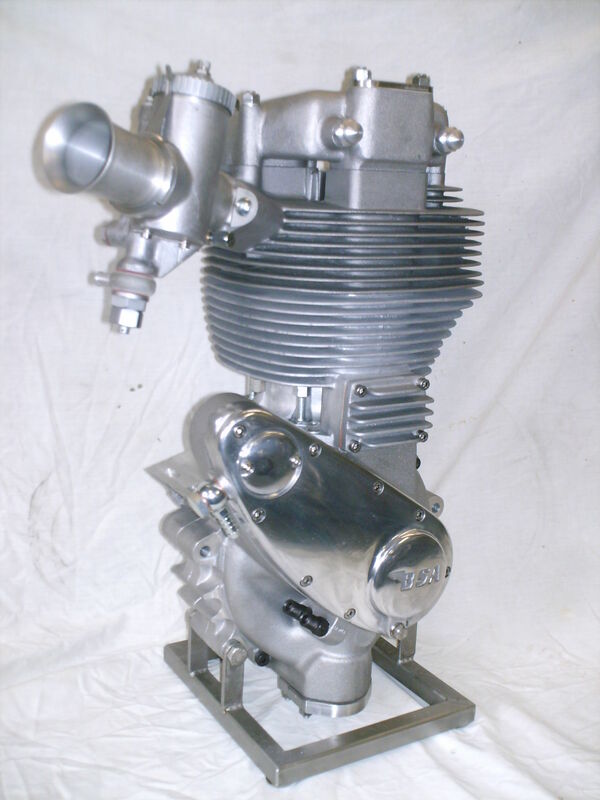 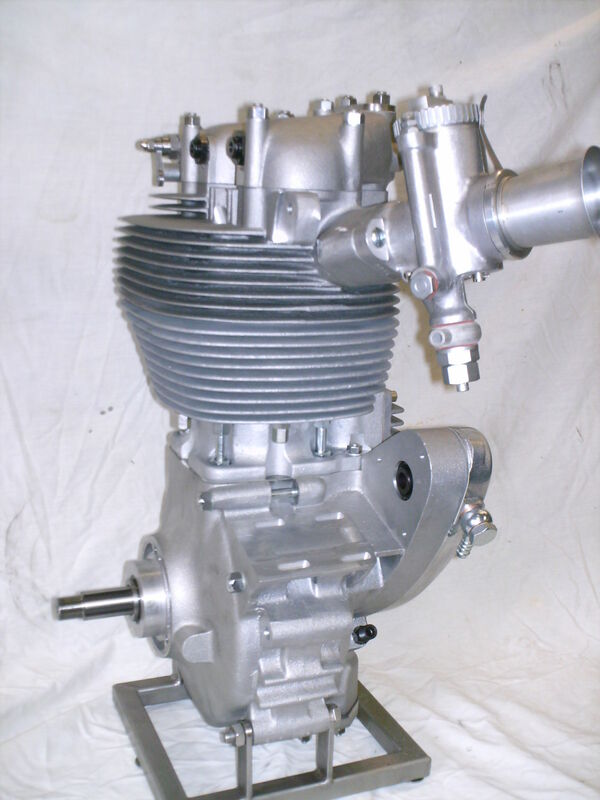 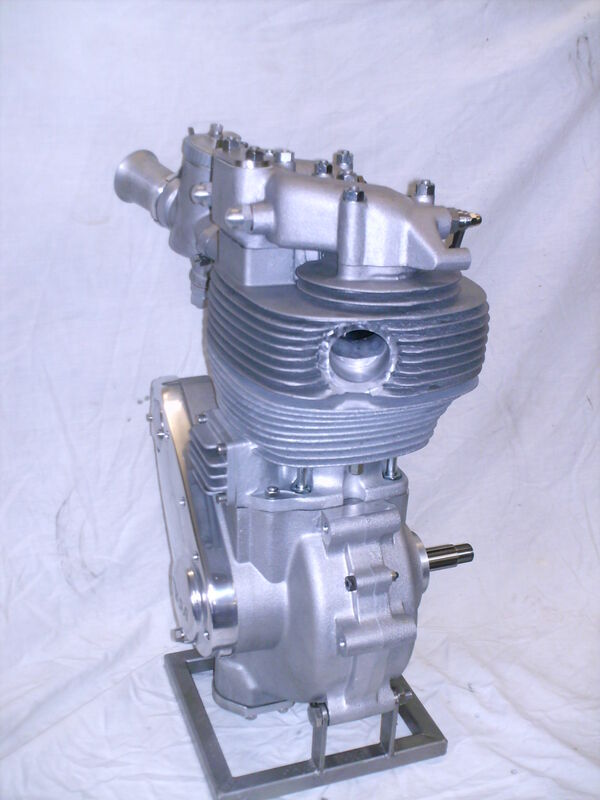 The standard 500cc ABSAF engine is almost exactly the same as the original BSA Gold Star DBD 34 engine, except for the relocated 10mm spark plug (for better combustion), modified inlet and exhaust ports (for better flow), forged piston, stainless steel valves, nikasil lined one-piece barrel, modern built up crankshaft with big end needle bearing, heavy duty main bearings, cast iron high capacity oil pump, vernier adjustable cam pinions and the timing gear plate is located by a dowel. 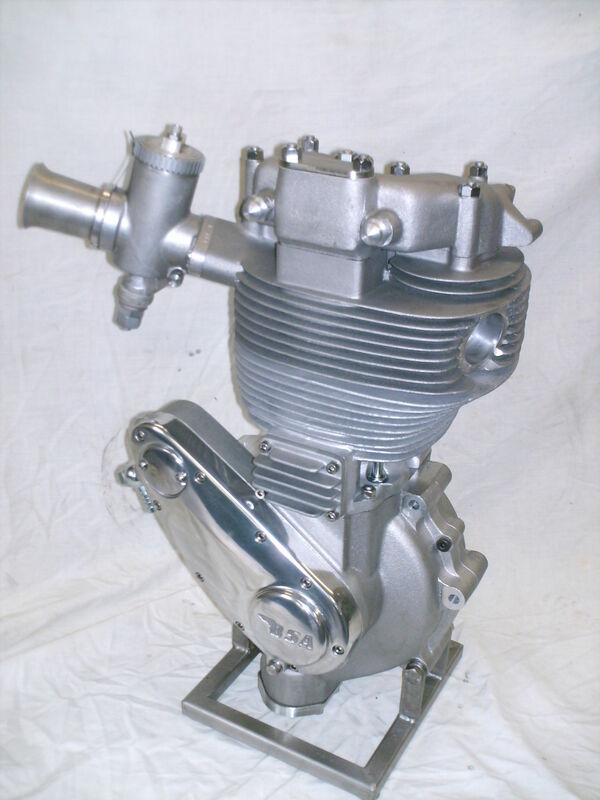 All individual parts are fully interchangeable with those in original engines. 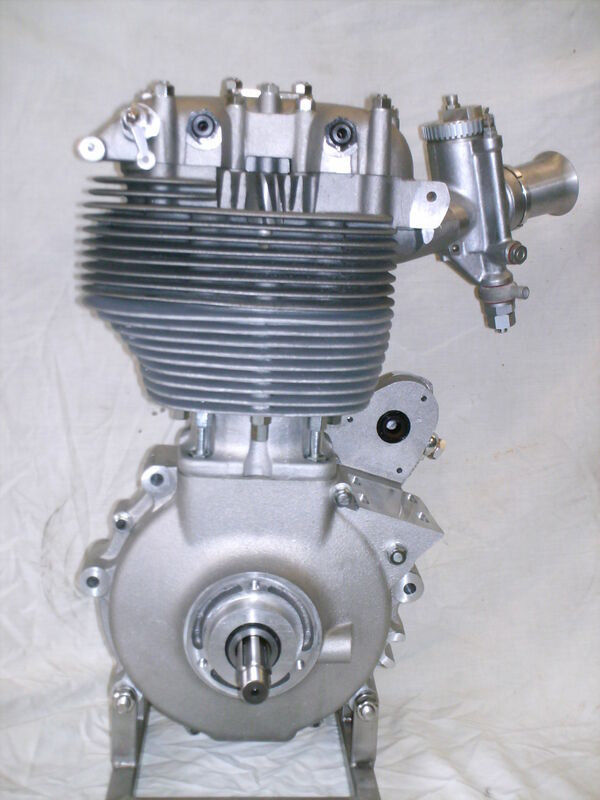 The estimated output is 46 bhp, max rpm is 7200. 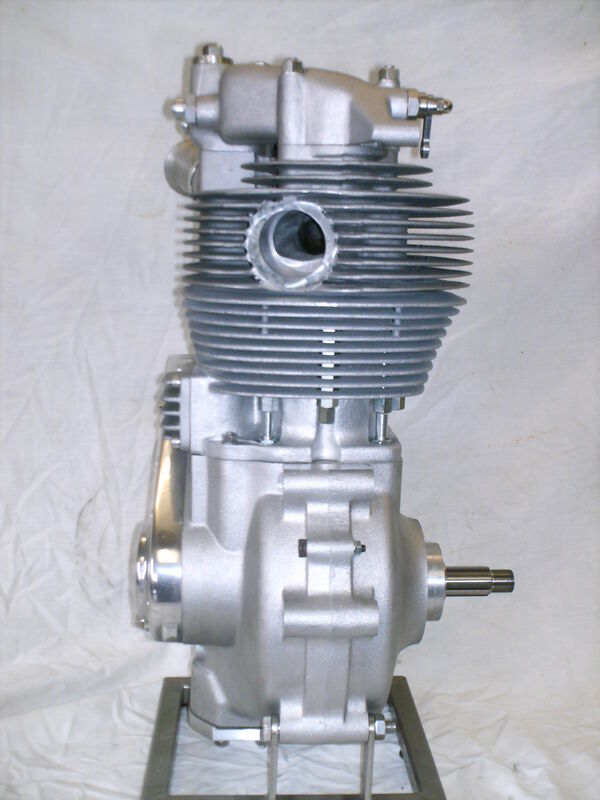 Bore x stroke is 85 x 88mm, compression is 10:1. 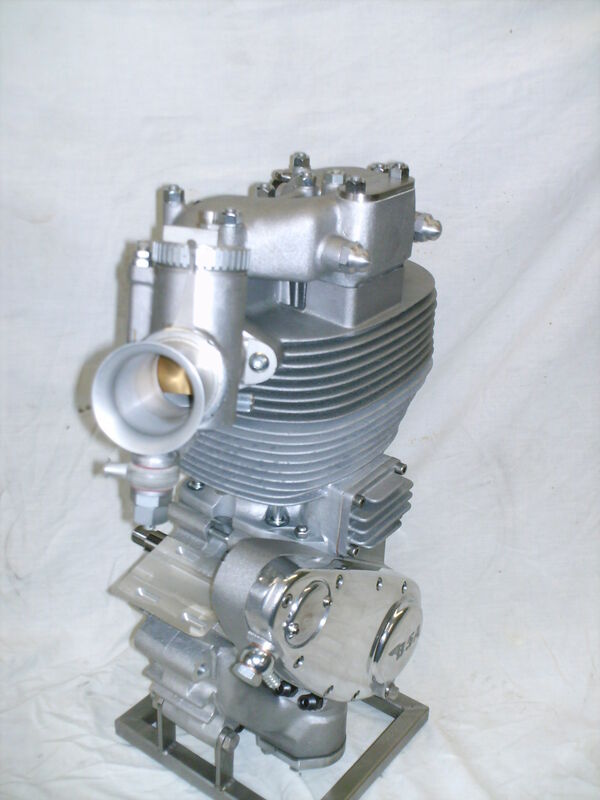 On the outside it is only distinguishable from an original engine by the centrally positioned spark plug and 2mm longer oil pump cover. 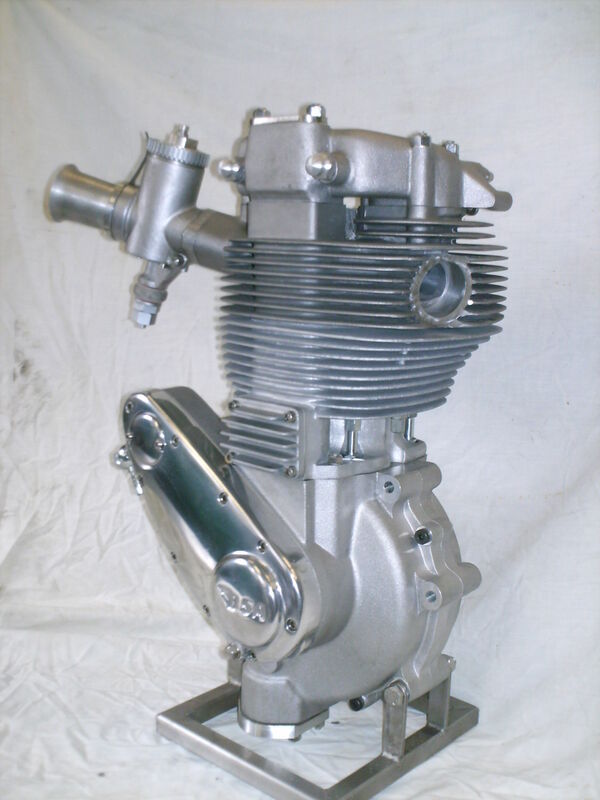 This engine is so reliable that it we cannot recommend it to those of you who like to spend their weekends taking the engine to bits. 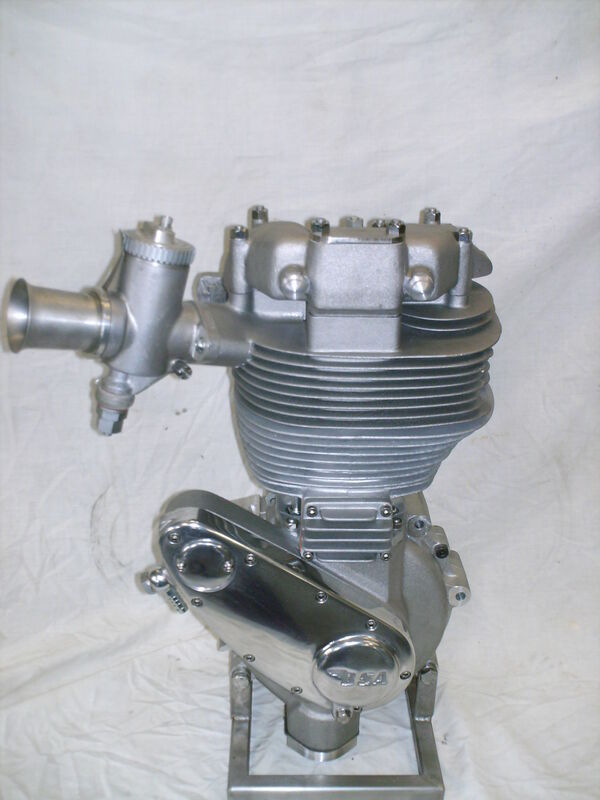 In fact, this engine may never need to be opened up again.